Junior Achievement today announced the winner of the second annual SocialInnovation Relay, a global challenge developed by Junior Achievement and HP for high school students to create and develop new business concepts intended to have a positive social or environmental impact. 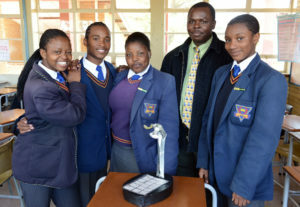 Emulsified Environmentalists, a team of students from Sandtonview Comibined School in Alexandra, Johannesburg, won the global competition with a concept for a solar-powered lamp made from recycled materials that will bring light to disadvantaged communities, while also eliminating the environmental and health damage caused by traditional kerosene lamps. 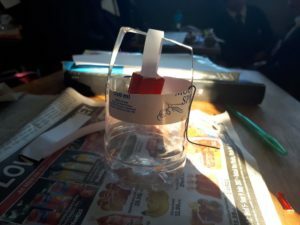 Working with HP mentors, the team developed their concept in response to the problems of electricity shortages and growing respiratory problems in South Africa. Teams from China and Slovakia were runners-up with ideas for a programme that trains young volunteers to work with China’s elderly population, and an educational DVD with supporting training designed to raise awareness around migration issues for young people, respectively. 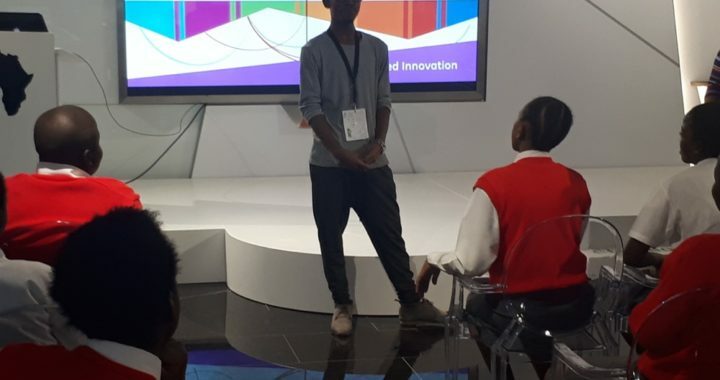 Each participating team of 3 – 5 learners was required to develop a socially innovative business concept into comprehensive presentations with the assistance of dedicated HP volunteer mentors, for national judging by HP senior management. 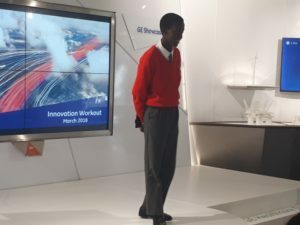 Team Emulsified Environmentalists, from Sandtonview Combined School, seen below with their facilitator Isaac Ganyiwa, were judged the winning South African team by the HP judges. The team identified the current power shortages and constant fire breakouts in South Africa’s informal settlements, caused by the use of candles and paraffin lamps, as a serious problem facing their community. 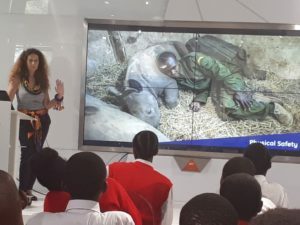 Their solution focused on creating solar powered lamps out of recycled material, thus eliminating the need for both candles and paraffin lamps. The lamps, made from recycled cardboard and foil, can be placed in the sun during the day, charging the solar cells. 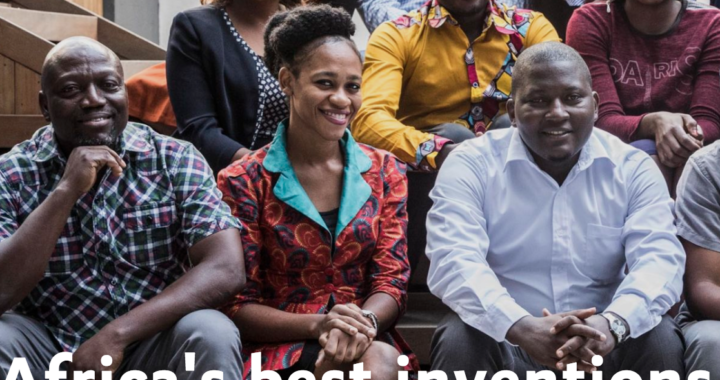 The winning national teams from across the globe were then required to present their concepts to a panel of global HP judges, who quizzed the teams on the feasibility and global impact of their concepts. After days of deliberation the panel determined that Team Emulsified Environmentalists idea was the winning concept. With over 20,000 students from 13 countries participating, the Social Innovation Relay is the largest global educational initiative to be run with a blend of virtual and face-to-face mentoring. 1,564 teams around the world registered for this year’s relay. 13 teams competed in the final round of the competition. The Social Innovation Relay was first launched in 2010, and over the past two years more than 30,000 students and 300 HP mentors have participated, submitting nearly 1,000 socially innovative concepts. For more information on the lead up, click here. 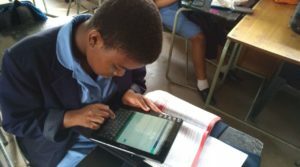 Over 800 learners from more than 13 schools across the country competed in the HP Social Innovation Relay between March and June 2012. 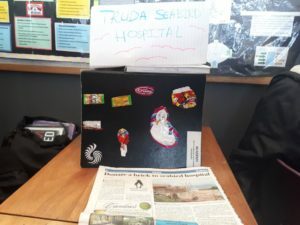 Learners participated in a three hour workshop, where they were taught about Social Innovation. Learners then completed an online quiz and grouped themselves into teams of between three and five members. These teams were then required to develop a socially innovative business idea that would alleviate a problem affecting their communities. 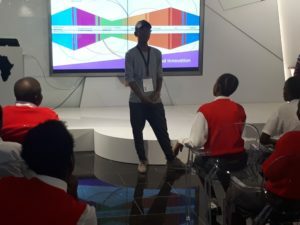 40 teams submitted business ideas and the best 20 ideas were selected by a panel of Junior Achievement South Africa (JASA) judges. These 20 teams were required to submit a full concept paper of their idea and the best 10 concept papers were selected. The judges scored the teams on content, innovation and creativity, social impact, the global scalability of the concept and feasibility. 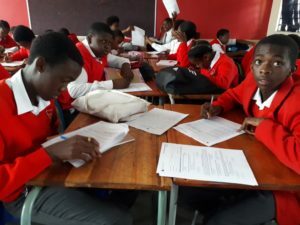 The top 10 teams were comprised of learners from Dawnview, Sunward Park, Tlakula and Sandtonview High Schools in Gauteng as well as The Beacon Secondary School in Qwa Qwa, Free State. 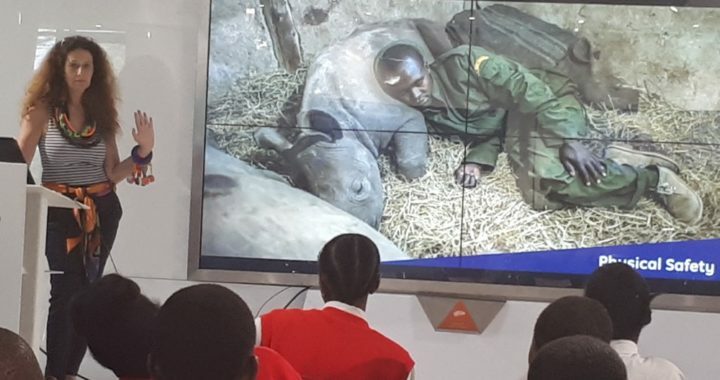 Each team was required to develop their concepts into comprehensive presentations with the assistance of dedicated HP volunteer mentors, who spent many hours with their teams, ensuring they were ready to participate in the SIR national final. The finals were held at HP’s Johannesburg offices on 2nd July 2012, where the top ten teams were required to present their developed concepts to a panel of esteemed HP judges, namely Ms Gois Fouche – HPSA Transformation & Strategy Manager, Ms Sheryll Sukhoo – HPSA Education Services Country Manager, Ms Petro Plotz – HPSA Channel Account Manager, and Mr President Ntuli – HPSA Global Account Manager. Team Emulsified Environmentalists from Sandtonview High School were judged the winning South African team. The team identified the current power shortages and constant fire breakouts in South Africa’s informal settlements, caused by the use of candles and paraffin lamps, as a serious problem facing their community. 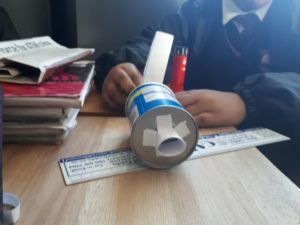 Their solution focused on creating solar powered lamps out of recycled material, thus eliminating the need for both candles and paraffin lamps. The lamps, made from recycled cardboard and foil, can be placed in the sun during the day, charging the solar cells. Additional mirrors will be placed on either side of the light bulb, reflecting the light coming off of the bulb – ensuring that entire rooms are sufficiently illuminated. It’s production and usage will save the environment from pollution caused by power stations and will also contribute greatly in the fight against global warming. 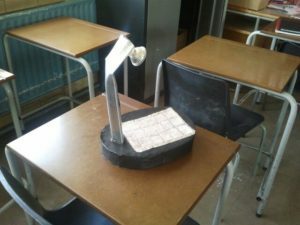 Approximately ¾’s of South Africa’s matriculants (final year of school in South Africa) have no electricity and therefore, no source of light to use to complete their homework, Emulsified Environmentalists believe that their solar lamp will assist all members of the community that do not have access to electricity. 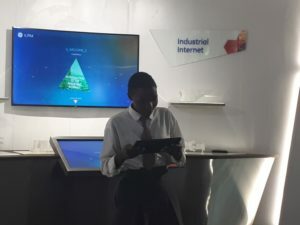 The four members of Emulsified Environmentalists were each rewarded with an HP laptop for their winning concept and have progressed on to the final round of the competition. The team will be participating in the SIR global final on 12 July 2012, competing against the top teams from across Africa and Europe. During the next week, the students, with the help of a group of HP mentors, will be required to develop a three minute video pitch explaining their concept. On 12th July 2012 the team will present their video and concept to an international panel of judges of top HP management, who will select their most feasible and innovative concept. To see how they do, click here. Junior Achievement South Africa launched the first Research In Motion (RIM) Innovation Challenge on Friday, 24 February 2012 at the University of Johannesburg’s Intellilab. 40 Grade 11 learners from McCauley House, Dawnview High School, Sunward Park High School and Ponelopele Oracle Secondary School participated in the day long challenge, funded by RIM. 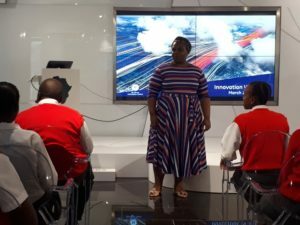 Learners were taught how to think innovatively through a series of exciting challenges, designed in partnership with the University of Johannesburg’s Intellilab staff. At the start of the day, learners were split into teams of four, comprising one learner from each school. 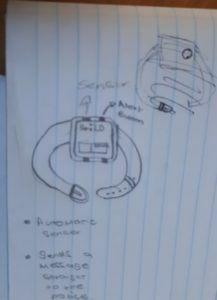 The teams were provided with clues which lead them to five Market Points around University of Johannesburg’s Kingsway campus. 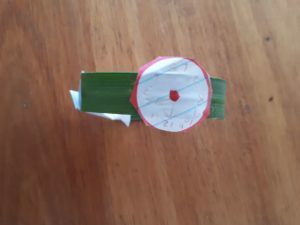 The teams were required to purchase a box of robot parts at each Market Point whilst keeping an eye on the fluctuating exchange rate of their BlackBerry® Bucks – capitalising on purchasing the parts at the most profitable moment. The Market Points were manned by enthusiastic RIM South Africa volunteers who helped the teams decide when the best time was to purchase their parts. The RIM volunteers were headed by Karina Gibson – RIM Community Relations Manager for the EMEA region, who travelled from the U.K. to attend the event. Teams collected points throughout the day for the completion of various tasks, be it budgeting or programming their robots. Each team was also provided with a BlackBerry® PlayBook™ with which to document their experiences. The BlackBerry® PlayBook™ could also be used to snap photos of the teams at strategic points to increase their scores. The Duiker team won the overall challenge and were awarded various BlackBerry® branded prizes as well as R300 airtime for each team member. The learners all felt the experience was invaluable and the RIM team was surprised at how innovative the teams were during the day. The exhausted learners were all sent home at 9pm on Friday evening, having spent the entire day thinking innovatively.